If you want to become a Smurf then you probably found out that this is not easy. We can help you to become a Smurf this Halloween with this makeup kit. This kit includes a tube of Smurf blue makeup and a Smurf blue nose. Of course you can’t be a real Smurf but this is pretty close from the real thing. This The Smurfs makeup is water washable and with the rubber nose this will make you pretty blue. 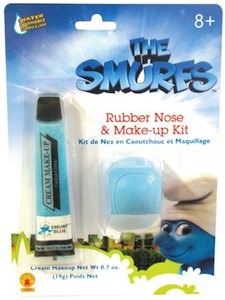 Come and become a Smurfs with this The Smurfs Nose And Makeup Kit. 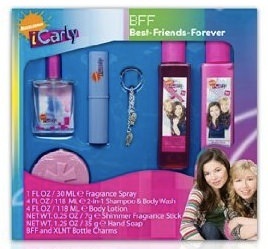 A best friend forever gift set but this is only for you BFF who also loves iCarly. The set has all kind of cool iCarly things like Perfume, shampoo, body wash, body lotion, soap and a bottle charms. You see it is a great gift set for the real fan who likes to see iCarly on everything she owns. 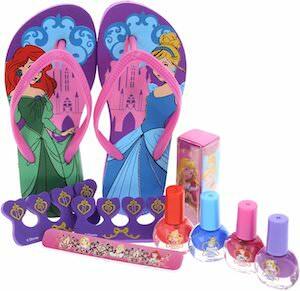 Go get your BFF this iCarly Gift set. Who doesn’t need a mini makeup bag that looks as cute as this one? Bella Swan and Edward Cullen enjoying the flowers and this all printed on both sides of this makeup bag. Don’t expect huge space for all your makeup but it is great for in your purse with the essential things. Have a closer look at this Edward & Bella Makeup bag.